Here is something for the summer…This is crunchy, salty and sweet with a deliciousness that’s just perfect as a starter or main for those dreamy summer soirees. The flavours are all very subtle – neither flavour overpowers the next – each ingredient being complementary to the other. Stack the apple in its original form adding the camembert and a slice of Parma ham in-between the apple slices or wedges. Top with more Parma ham, drizzle with the mayonnaise. Lastly, top off the apple stack this with some walnuts and micro herbs. Did you know that the Japanese grow square watermelons since the early 2000’s? Space is a priority in Japan so the farmers have cultivated these square-shaped watermelons in order to save space and to ensure that the watermelons fitted into the refrigerators more easily. *I just love the Japanese …clever people*. How did they do this? Well like everything Japanese do … ingenious and yet so practical. The watermelons while still growing on the vine, are placed in a square glass boxes. And yes, these boxes correlate to the exact dimensions of the average, domestic refrigerator in Japan. *clever people again* :-). These square watermelons are obviously somewhat higher in price but are still much sought after by many Japanese households. Moving right along from this watermelon² story, I decided to make these delicious watermelon sorbet balls to go with a strawberry + pomegranate carpaccio. Adding some fennel seeds just offers an alluring and tantalising liquorice note. *I just loved the combination of the subtle fennel-liquorice-taste with all the other fresh flalvours*. 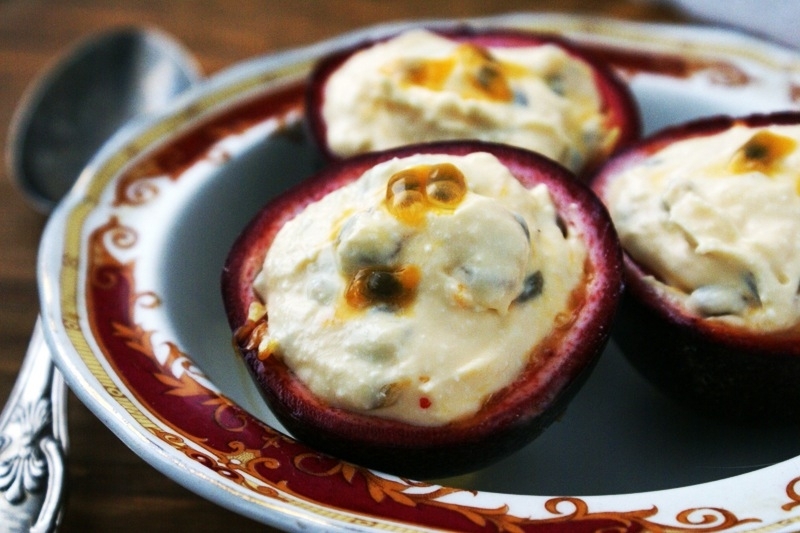 This is a perfect summer dessert – healthy, tasty, fresh, crunchy and oh so beautiful too! For those keen on swatting up on the Japanese art of growing your own, perfectly squared watermelon, here is a link that you need to look up. Add ½ cup of watermelon juice + sugar + fennel seeds to a pot and bring to a simmer. Remove from the heat then add the lemon juice.